Before writing revolutionized literacy, all we had was the spoken word. The history of mankind has passed down generations, surviving the tragic extinction of many a language, only through verbal communication. Everything in the past is a reflection of myths, legends, and folklore from the times of yore. In fact, everything the 21st century knows about the birth of this universe that contains our knowledge of evolution was documented through orality. Language has proved to be the most omnipresent discourse and before it was carved on rocks, it was spoken through the medium that has now, unfortunately, come to be a dying art – stories. Stories do not validate human experiences; they transcend them. The act of storytelling is not simply an activity families indulge their young ones with at bedtime but a narrative of moralities, a technique of establishing hierarchical structure as generations descend. Every continent and community has a unique history and they have all developed simultaneously through the unremitting custom of storytelling. Storytelling need not be a formal activity to be practised within the boundaries of a pre-defined procedure. Language is the most intrinsic way of differentiating one ethnic group from its close counterparts and stories have helped each of them carve their own literal and metaphoric niche. African communities are known to have a very engaging and interactive oral tradition, rich in performances and visual aids. Not only is it a verbal medium of sharing, certain Nigerian tribes also imbibe song and dance in the process of narration, on subjects of social behaviour, history of African tribes and morality. Some Rajasthani and Gujarati communities share stories via mammoth paintings and pictorial representations of monarchic empires hung in town squares, municipal schools, and places of public gathering. Over the decades, a lot of endangered communities have fought losing battles for geographical and mental space, eventually being wiped off the map and collective memory. With the fading of such minorities, not only do we lose the knowledge of archaic languages, but also the stories of tribal rituals and traditions lost forever, documented if at all, in languages now alien to the world. Preserving such stories is of utmost importance because not only is their oral tradition the only significant proof of existence, it is a fraction – even if a diminutive one – of national heritage and the systematic disintegration of languages with no surviving native speaker creates a vortex in the history of any country or region. The Australian aborigines continue to rely on orality and storytelling which is an integral part of the pan-Australian culture as well. Stories of a ‘dreamtime’, i.e., a period in history, is a common subject of choice for private as well as public storytelling where the audience partakes in the history of the Australian land, its first inhabitants and their culture. Although the role of a storyteller in aboriginal tribes is fixed, more and more people have begun to take initiative and participate in the act. The Scottish tradition of storytelling involves ballads, folksongs of the nomads, bagpipes, and is therefore, naturally charming and esoteric. In 13th century Europe, storytelling flourished in the form of music. Romantic lyrical poetry was recited in the king’s court by troubadours, in markets and courtyards and was said to influence much of Europe’s poetic writing in the ensuing periods. A class of German musicians called Minnesingers politicised their tales by singing songs about the socio-economic conditions of 13th century Germany, narrating the woes of the middle-class through their melodies. Ours is a country of mythologies, folklores, ancient legends of gods and demons and multilingual subscriptions to Ramayana, Mahabharata, and Bhagwad Gita. There is a wealth of knowledge in the delightful stories shared by grandparents, which one can adequately appreciate in hindsight, with an insight into this subliminal pedagogy. Mythology and folklore make for an extensive part of Indian stories. Moral science is taught with the aid of short stories across primary schools in hope of raising a generation with a fine character and a sound moral background. Bhajans, Keerthans, and paaths are quasi-musical forms of oral traditions recounting the glory of Hindu gods and goddesses and singing praises of their epic battles and power. Baul musicians from West Bengal were known to deliver spellbinding music that relate stories of love and peace. Puppetry is a very popular and interesting form of storytelling, wherein the audience is completely taken in by the act of narrating a story via human figurines controlled by a puppeteer backstage. Linguistically associated communities impart stories about the history of language and the role it played in making the community as it stands today. Religion and faith have relied on stories to propagate and cultivate tradition for generations amongst followers and sceptics alike. Stories create a platform for dialogue and critique of values making language the melting pot of all branches of culture. It is said that all stories are nothing but carefully crafted myths because the same story can be told in a million ways owing to the multiplicity of storytellers. Everyone adds their insight, their belief, their understanding to the narrative and since the same information is disseminated in endless ways, the plot becomes unreliable and often, misleading. However, the nature of a story is such that it assimilates facts with fiction, offering multiple perspectives towards a single ritual, belief, or custom. The very act of telling makes one associate the narrative with the teller, and not the text or a pre-existing truth. A dominantly public and performance-oriented form of storytelling is the ancient Chinese convention, wherein storytelling was competitive and challenging. Pingtan, originally a narrative music tradition, began as a competition between storytellers who would recite stories in long and short forms to a largely interactive and discerning audience. Eventually, a guild of storytellers was formed and the artists got recognition through concerts and stage performances that were widely appreciated. Street storytelling has always been a crowd puller in Asia, especially Japan, where storytellers often took to residential neighbourhoods and gathered their own audience to narrate stories. Kamaishibai was one such form of storytelling wherein an individual selling candy or sweetmeats would enter a rural colony, clap around two wooden boards to alert the children and on selling some candies, would narrate historical stories to them. Not only did artists find a medium of expression for their art, they could also support themselves financially while at it. We may all watch the repeat telecasts of Indian mythologies on television every sunday, but our fondest memory will be of the time it was narrated to us, in all joy and fervour by someone in the family. The fondness does not stem solely from familial love but from the pleasure of bearing witness to a performance, the staging of a show; complete with sound, action, and an animated and interactive body language. 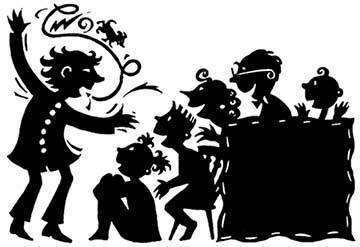 Storytelling is being revived and recaste as a profession today, lending credibility to the act of imparting stories. Contemporary storytelling is addressing the challenges faced by generations with no medium but their voice, and one can only hope that the multiplicity of the mediums of communication at our disposal today serves to strengthen the medium and not strip the art of its aesthetic merit. The author is a freelance writer based in Bombay. She finds comfort in all forms of literature, melancholy cinema, felines, and Urdu poetry. She can be reached at aditi.anand.padiyar@gmail.com.